Some stress in life is unavoidable and even necessary. From challenge comes growth, but most of us are experiencing way too much stress and paying way too high a price in terms of compromised health and wellbeing. So, what do we do about it? Here’s the standard advice, which is all good … and you’ve heard it before, so I’m just going to touch on it … and elaborate a little. Avoid stressful situations. Meditate. Exercise. Eat well. Get adequate rest and sleep. Easy on the caffeine. Don’t get worked up about things beyond your control. You experience enough stress just taking care of the stuff you can do something about. Big step: Don’t watch the news. Don’t read the paper. The important news will still get through to you. You don’t have to take on the problems of the world. It’s a choice. Get out in nature. Get a little sun. Have some fun. It’s therapeutic. Throw your cell phone in a large body of water. Oh wait, they’re actually pretty useful and a necessity in business, so how about a) not looking at it every waking second, b) learning how to control it, so it doesn’t control you, and c) getting the thing as far from you as you can when you’re conversing. Use the speakerphone or a headset. NEVER hold a cell phone against your ear. The cell phone is the new cigarette. The microwave radiation you’re exposed to causes thermal damage, but that’s the least of it. It damages the mitochondria, the power plants of the cells …and you need your mitochondria to be in excellent shape in order to have the energy to deal with stress and have some left over to do great things and enjoy life. The further away you keep your cell phone, the better. Your body and mind need extra nutritional support when they’re under stress. Vitamin C and the B vitamins, especially pantothenic acid, aka B5 … and B6 …gotta have ‘em, and not in wimpy amounts either. Magnesium is nature’s muscle relaxant. Do you get leg cramps? Grind your teeth? You … and about 85% of the population … aren’t getting enough magnesium. You should be eating a LOT of healthy fat … omega 3 fatty acids, butter and meat from grass fed animals, avocado, extra virgin coconut oil … especially the C10 medium chain triglycerides. Fat is essential for dealing with stress, and yes, that includes saturated fat. Don’t buy the low fat myth. Kick out as much sugar and refined carbs as you can. To help you sleep: Melatonin. It’s a cancer preventative too. 5 HTP. And a homeopathic, Calms Forte. Valerian root extract can help you relax anytime. Kava kava works for some people. Just take some milk thistle with these last two, as they can be a little hard on the liver. The neurotransmitter, GABA, slows down the firing of the neurons and relieves anxiety in a lot of people. Adrenal glandular supplements from cows raised naturally in New Zealand can be a godsend to give a boost to your overworked adrenal glands. In times of great stress, take several capsules a day. Licorice root extract will also give a boost to your adrenals, but it can / will raise blood pressure, so you have to be careful. Your adrenals also need salt desperately … and not sodium chloride. We’re talking Celtic sea salt or Himalayan pink salt, which have dozens of necessary trace minerals in them. Consult with a knowledgeable doctor … an “integrative physician” … before you implement any of this advice. Don’t always have the time to meditate, exercise, sleep, breathe? Here’s a shortcut that’ll down you out like a zen master in minutes and all you have to do is listen to a recording. My former partner and dear friend, Denise Hedges, has written all about Hemisync and Holosync in this article: (See attached file – can you link to it online or make it an attachment to the newsletter email?) The technology is amazing … the effects miraculous. Profoundly relaxing. Emotional Freedom Technique … EFT … “tapping” … can work wonders too. 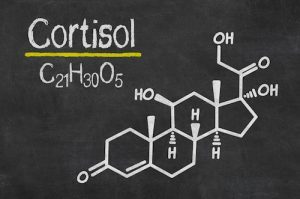 We simply HAVE to lower our cortisol levels. Tell me what works best for you.